Although I do love pastry to line a pie, this method is quicker and a bit different than the norm and perfect for us Celiacs! 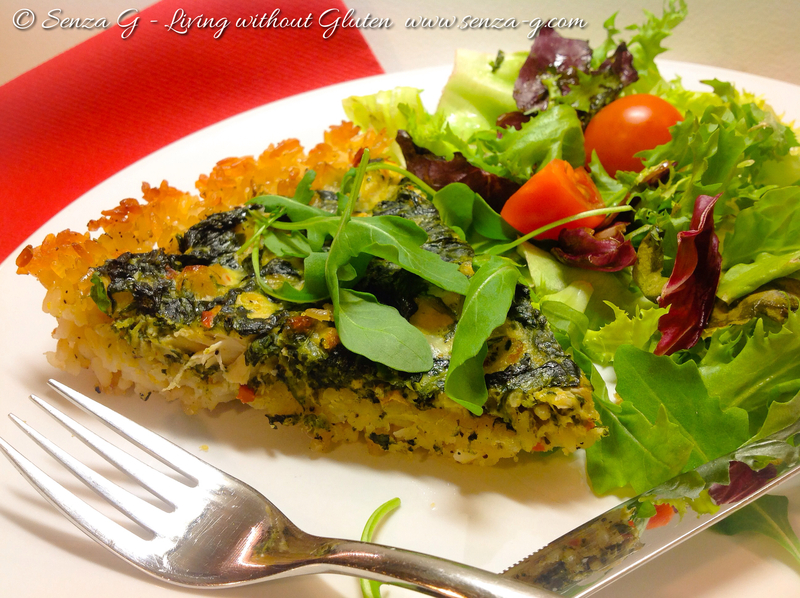 It makes a great standby meal if you have leftover chicken and is also less fattening than a normal pastry pie. You can use any rice that you prefer, from white to brown or even wild rice mix. It is great with a green salad. Grease a quiche dish and set aside. Start by making the rice crust. Boil the rice in the chicken or vegetable stock. When tender, drain, add half the Parmesan cheese, season and add one egg white. Combine well. Now press the rice into the quiche dish, and line slightly also up the side. Put the crust into the oven and bake it until slightly golden. In the meantime, sautee the onion and garlic in a little oil. Add the cooked chopped chicken and the wine. Cook until the chicken is heated through. Add the drained spinach, the stracchino cheese, remaining parmesan, nutmeg and mustard. Finally add the other three beaten eggs and remaining yolk and combine gently. Season. Add a little milk if too dry. 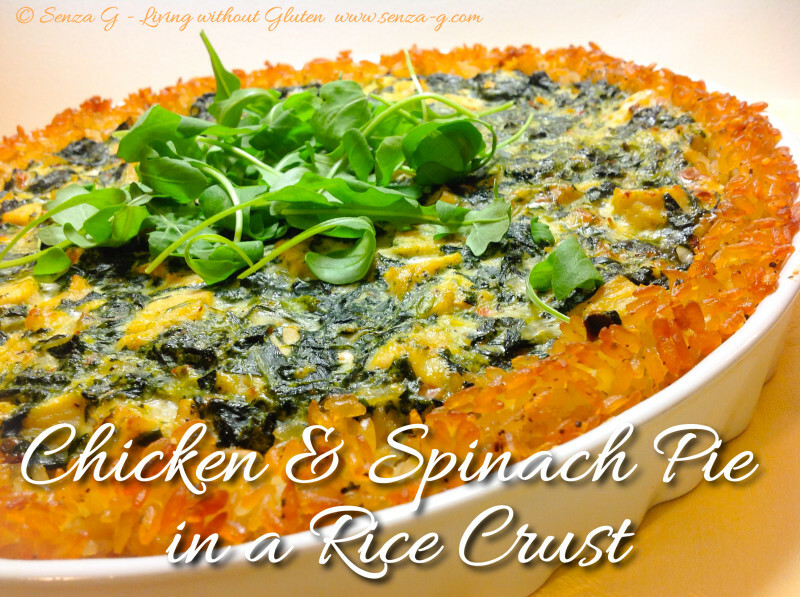 Take out the crust from the oven and pour the chicken and spinach mix in crust and place back into the oven until set and browned on top. Serve with Salad and if desired with some Ranch Dressing on the side too.